New year will come very soon with all hopes and challenges waiting ahead for us to make a fresh start. 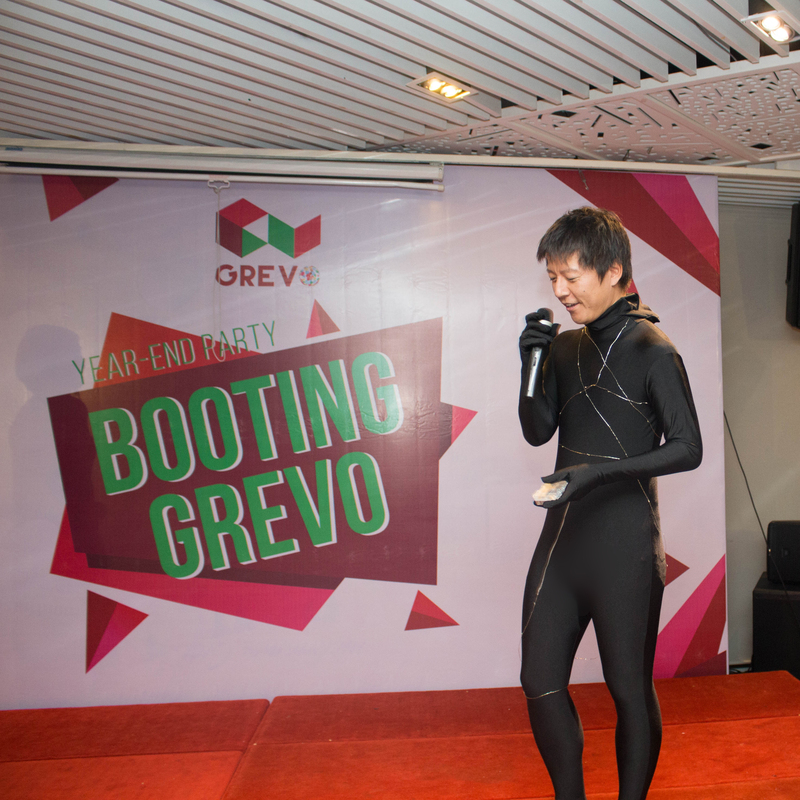 And to begin a new smooth year, should we end up the current year by a Year-end Party? 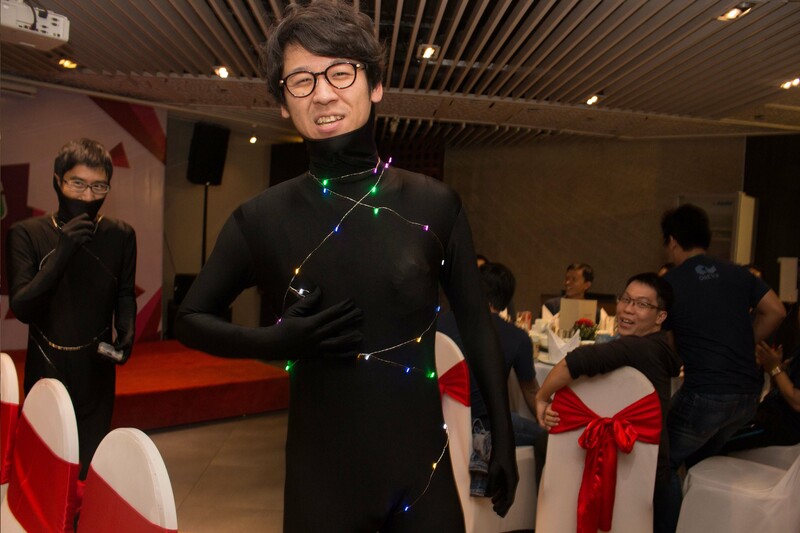 The Year-end Party operated in December, 2017, under expectations for a fantastic night with full of delights and pleasure from all employees and clients. 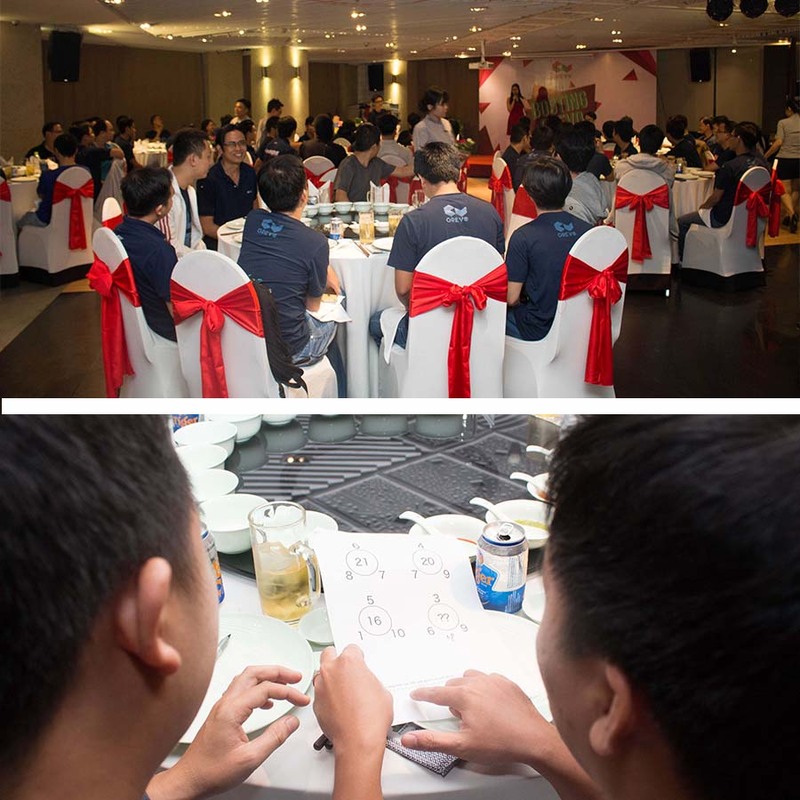 The party was not only a summary of the year's activities, but also the chance for all employees, clients… to sit together and review the successes, efforts that we achieved together in the past year. 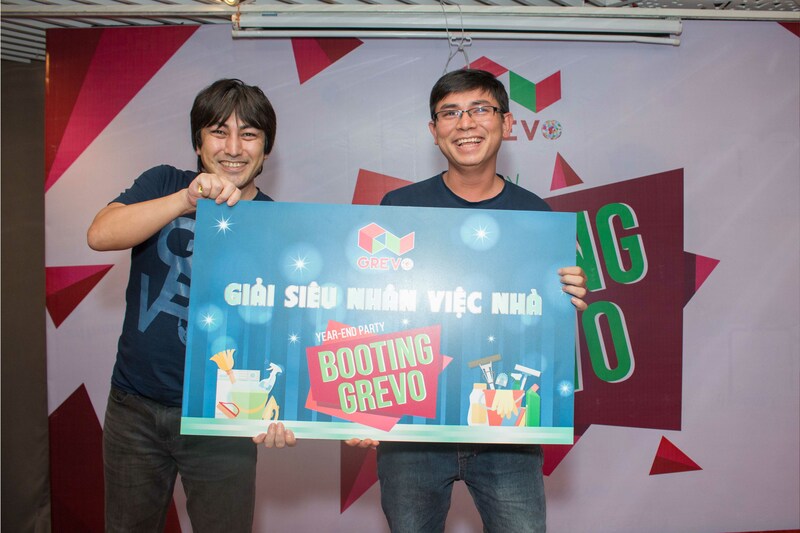 This was also an important and meaningful activity for GREVO, creating motivation for employees, as well as sharing challenges and overcoming it effectively. 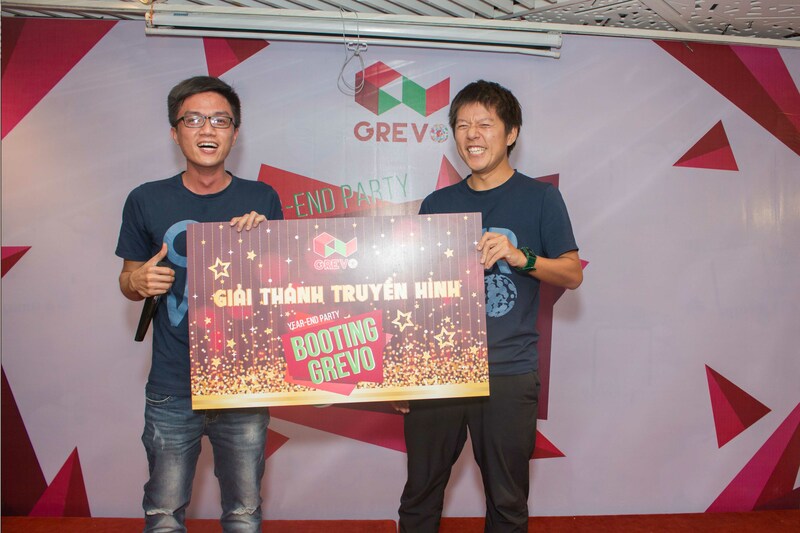 So, let’s take a quick look at what GREVOers did in the special party to welcome the incoming 2018! 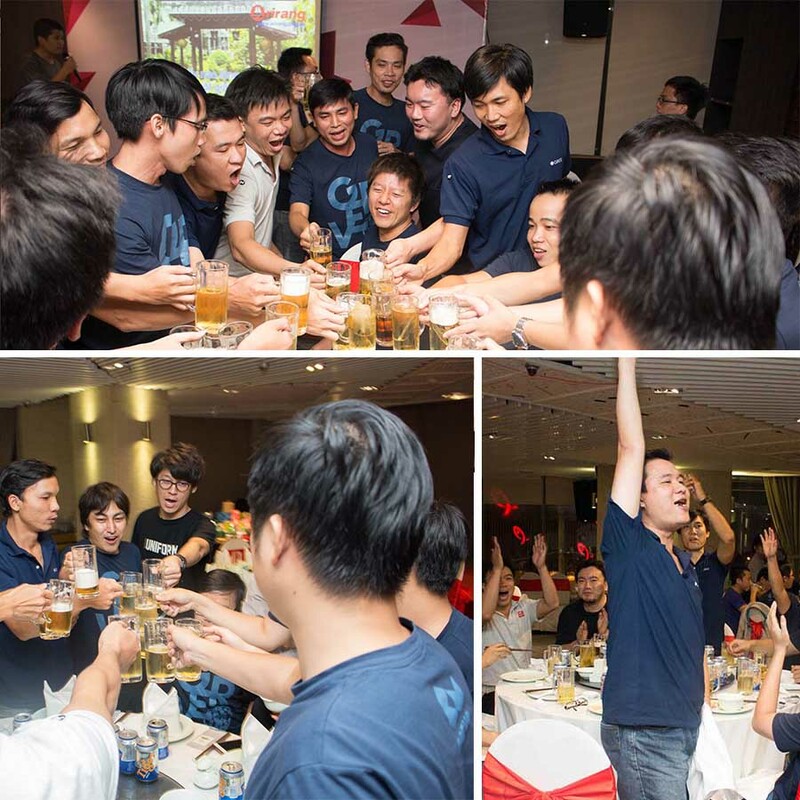 We started the party with the disguise from clients and our CEO to bring the big surprise to all our employees. 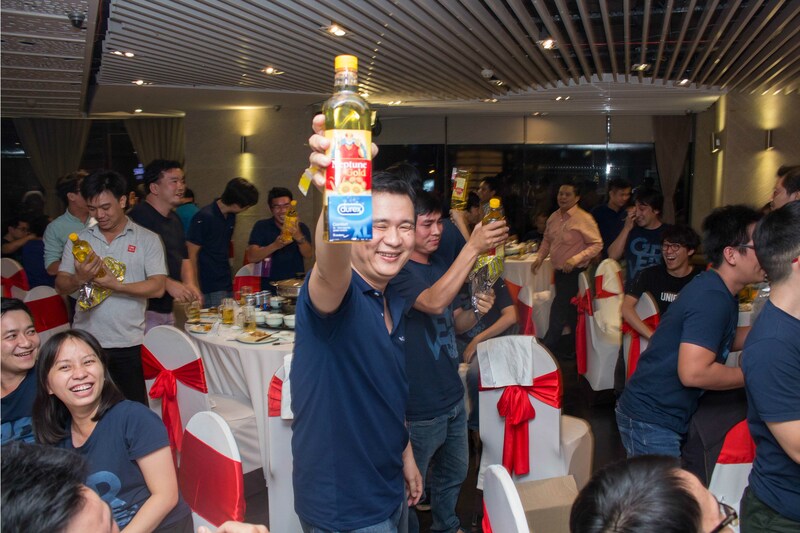 Our CEO had a short speech to introduce meaning of party as well as what we had done so far over one year. 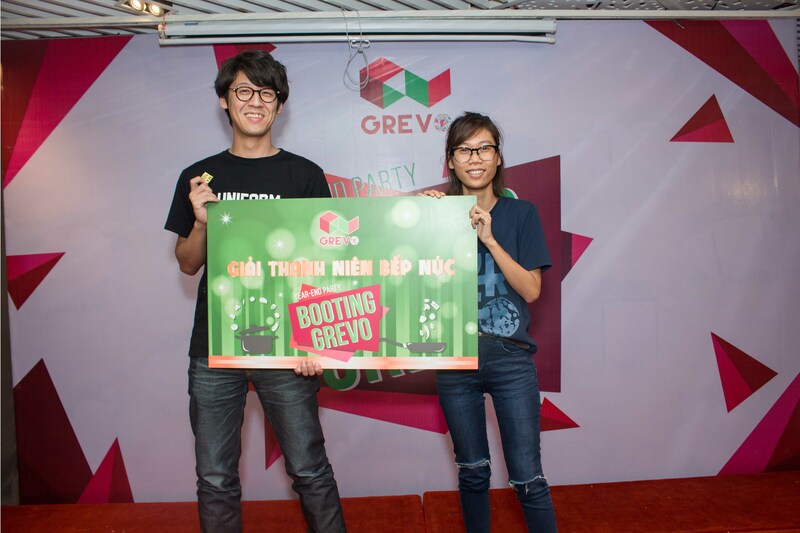 Next, a “Brain TEST” for all teams operated to see who would be the fastest and most intelligent team in GREVO. The test was needed logic and a bit fast to compete between teams. 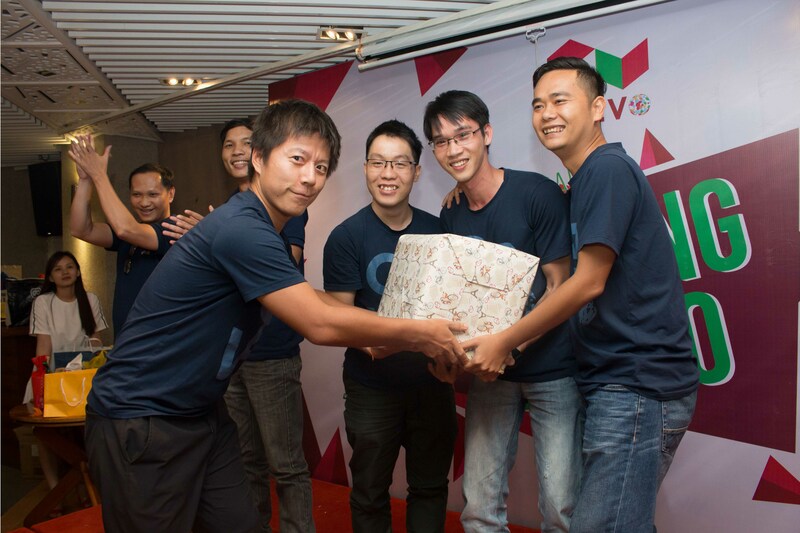 The 3 fastest team had been found, CONGRATULATIONS! The Test really boosted our mood, and then was our real P.A.R.T.Y! 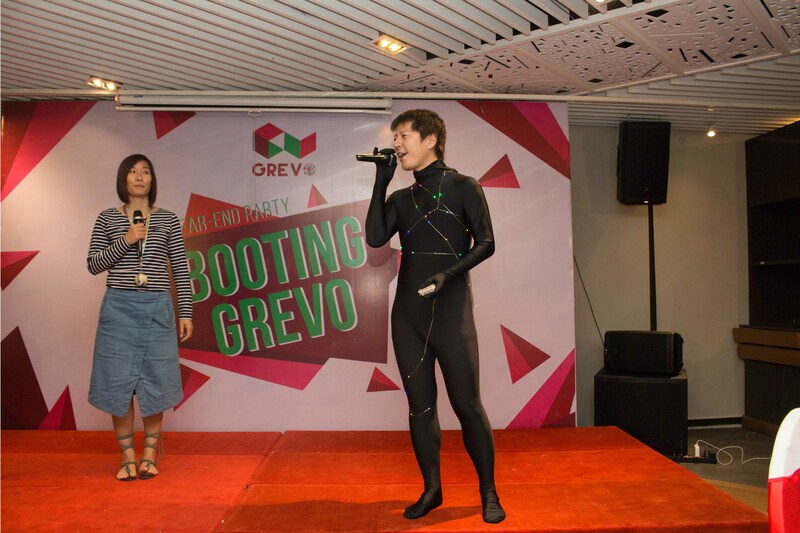 The atmosphere was hot as ever through the Karaoke Contest. 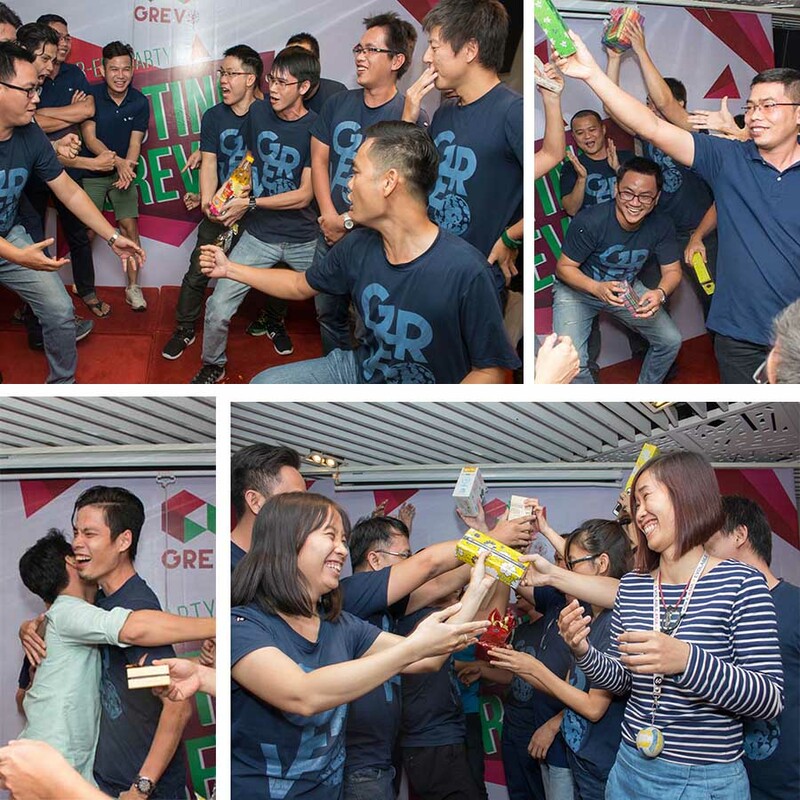 Many our talents were regconized after long time hiding behind the office, and the party was a chance to show their talents. “Will you marry me, please say Yes”. “Uhm, let’s me finish the song first”. 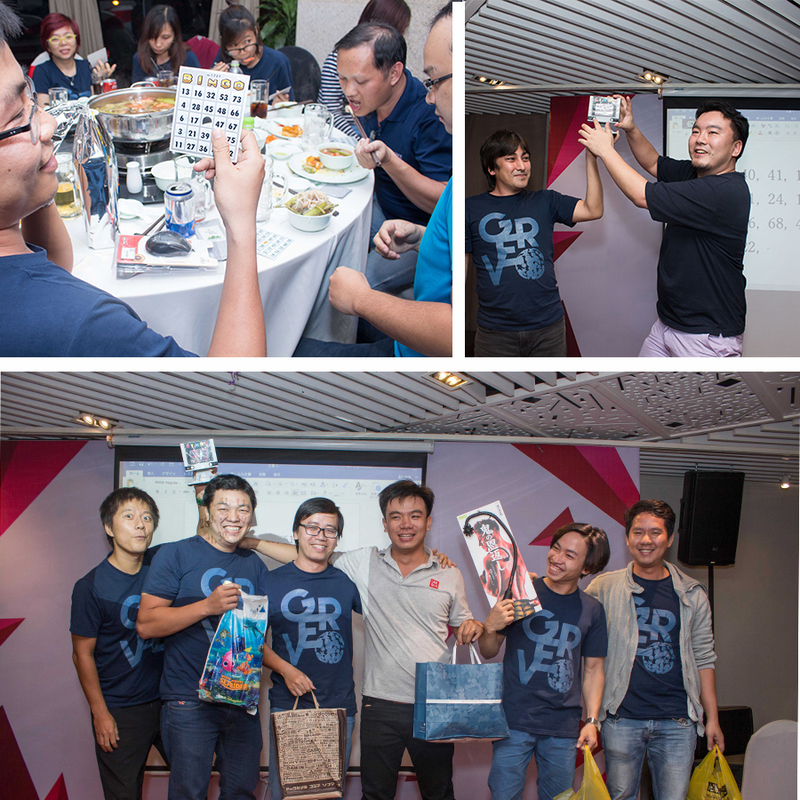 A meaningful gift for Karaoke Contest, look at the happiness in their faces. 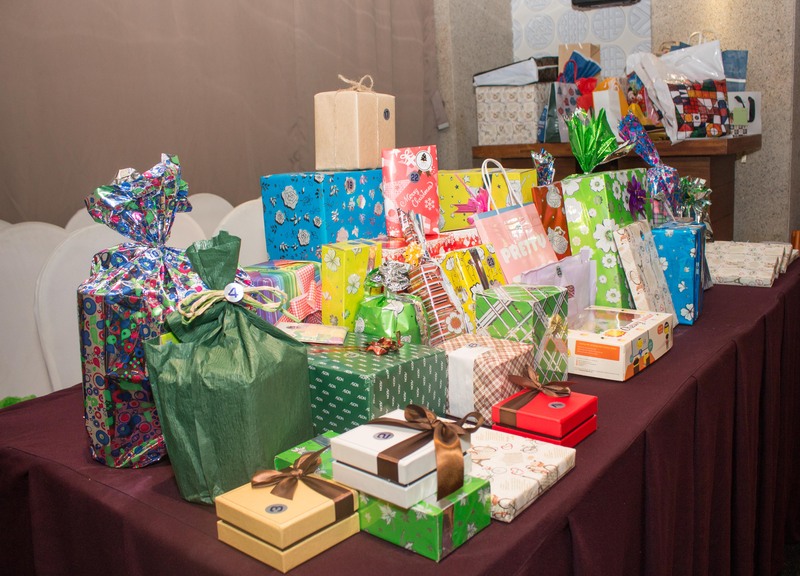 On top of that, we got more fun with our traditional game “Exchange Gifts”. EXCHANGING or FIGHTING ?, We actually didn’t know. Bingo Games with lots of Winners. 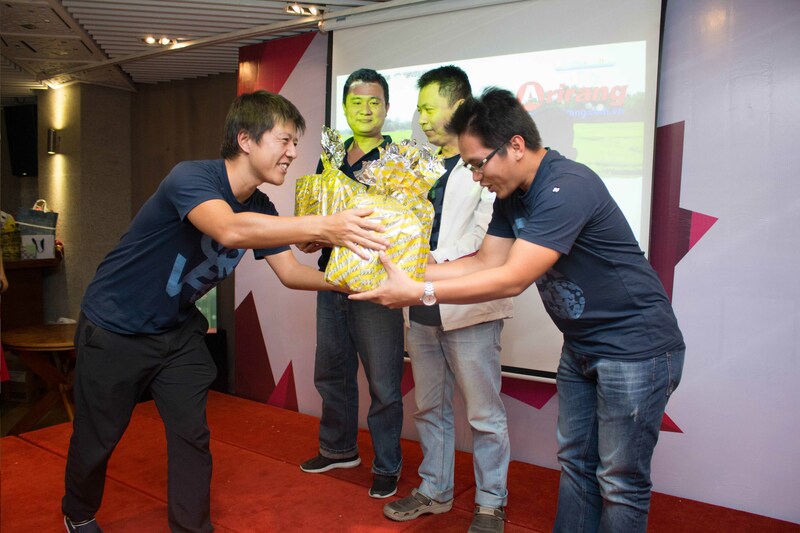 Last but not least, Lucky Draw with an extremely big value, which got anyone feel crazieee. And we found 3 luckiest members that night. Let’s check who were they. 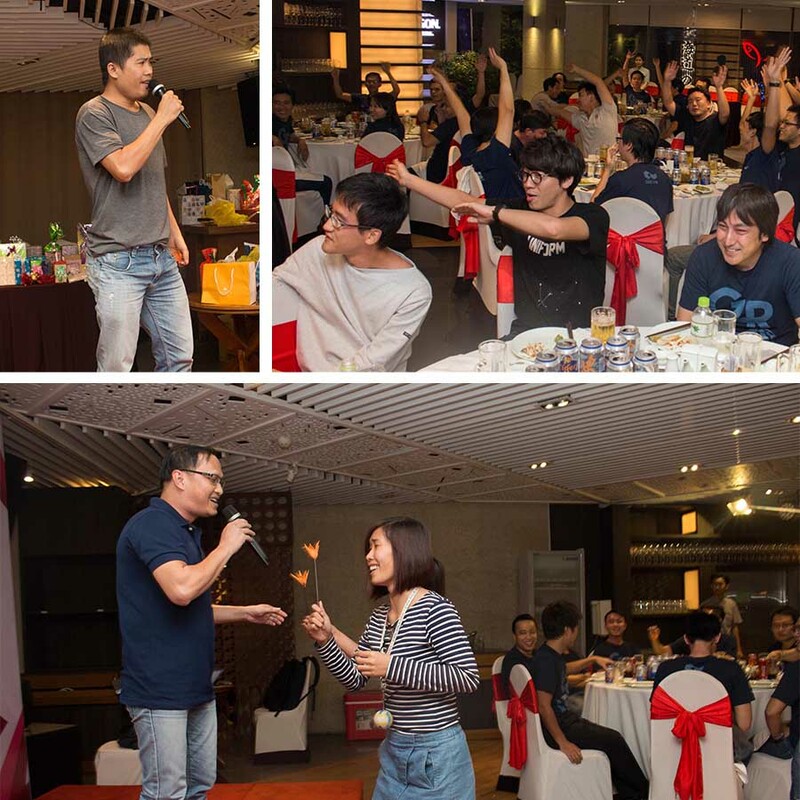 The Year-end party has finished with the excitement of all employees, the night seemed blown up like a boom of amusement. 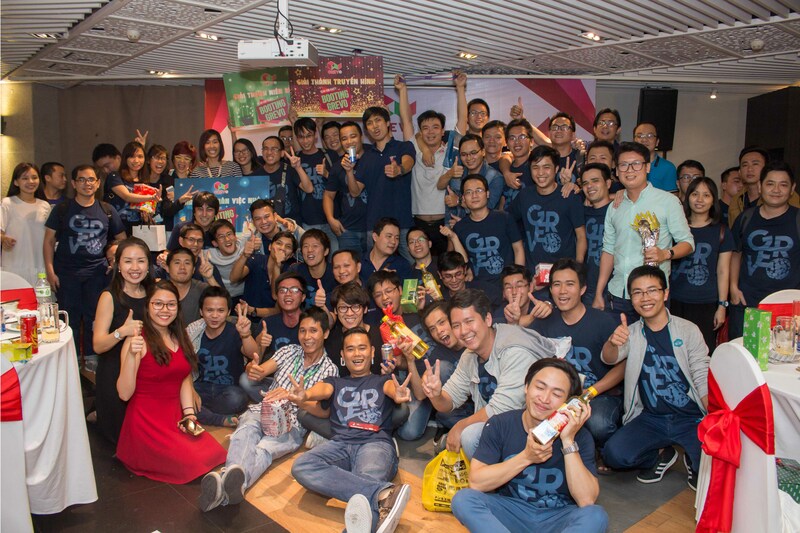 Thank you for all of our members joining the party with success beyond expectations, and we are waiting for a new fantastic year with more and more interesting events and parties.